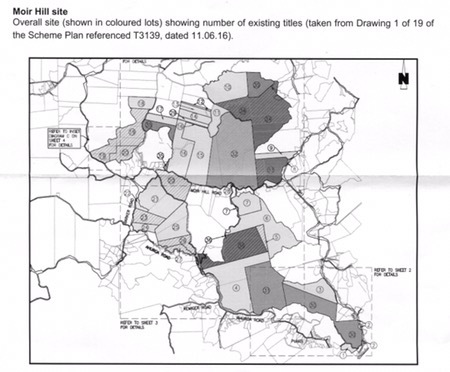 I got a letter from the Council in the mail today regarding a truly massive subdivision in Puhoi/Moirs/Ahuroa East area, which is at the resource consent stage. The letter was notifying affected residents of the resource consent that has been lodged by Asia Pacific International. I attach an outline map of the areas and it is a large amount of the previous Carter Holt forestry area – 1300ha(!!) in this case, and proposes 207 rural residential lots. It stretches from the village and is bounded by Ahuroa Road, SH1 and to the north goes well past Moirs Hill Road. I am sending this through as the deadline for submissions on this is 10th October, just under a month away, and the more notice that can be provided to residents who may wish to submit, the better. The application numbers for the consents are SLC 66696, REG 66698, REG 66699 and the consent can be viewed on the council website by searching for current publicly notified applications. The days of this neck of the woods being quiet, small scale rural settlements are well and truly ending….